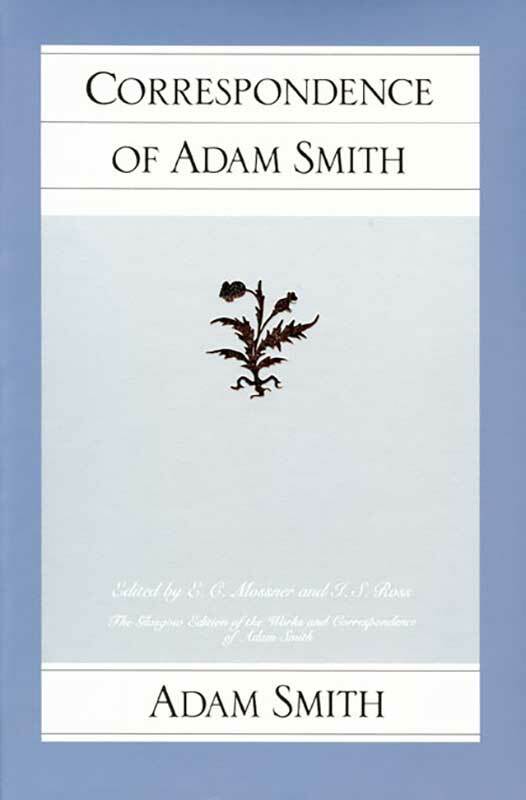 This volume offers an engaging portrait of Smith through more than four hundred letters; also included are appendixes with Smith’s thoughts on the “Contest with America” and a collection of letters from Jeremy Bentham. 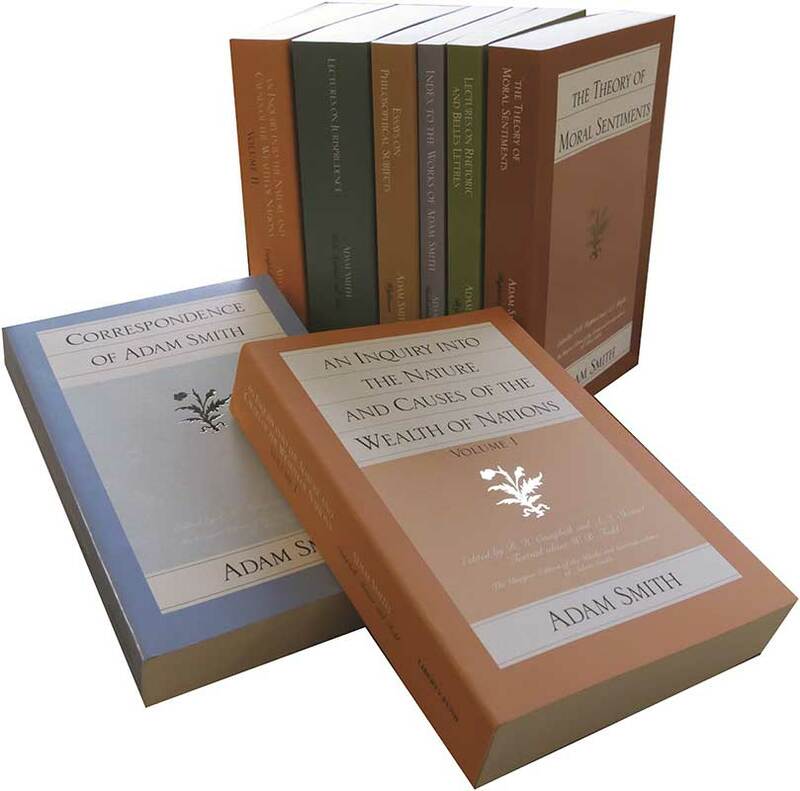 Now complete in seven titles/eight volumes, this series is the first uniform collection of Adam Smith’s writings. 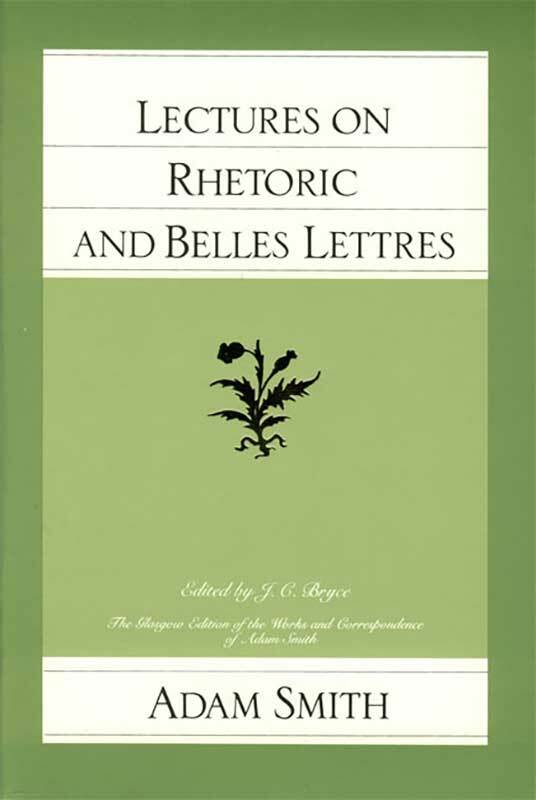 The Glasgow edition is published in hardcover by Oxford University Press. The paperback edition is published by Liberty Fund. 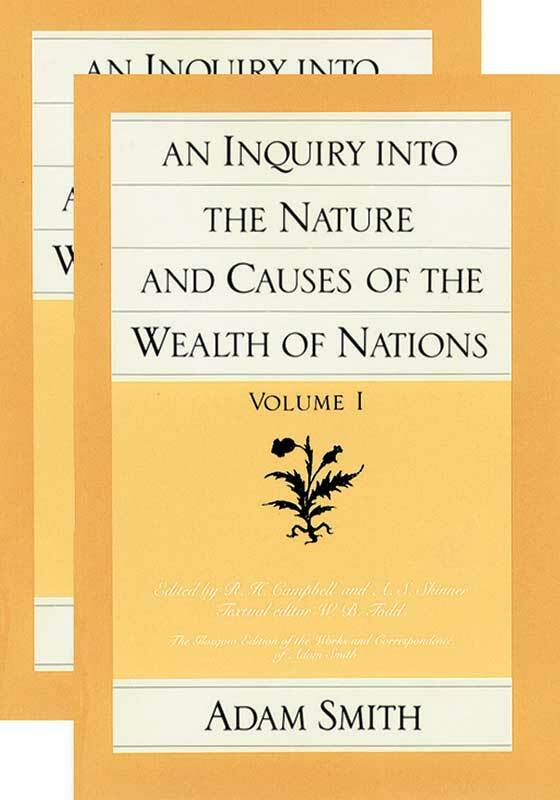 This comprehensive Index to the Works of Adam Smith gives students and researchers in all fields a single, unified source for locating Adam Smith’s many contributions to such diverse fields as economics, morality, philosophy, and law. 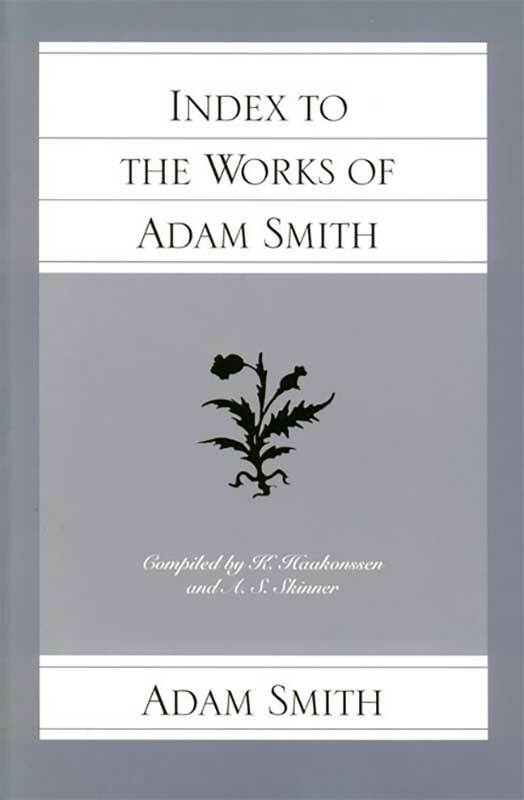 First published in 1776, the year in which the American Revolution officially began, Smith’s Wealth of Nations sparked a revolution of its own. 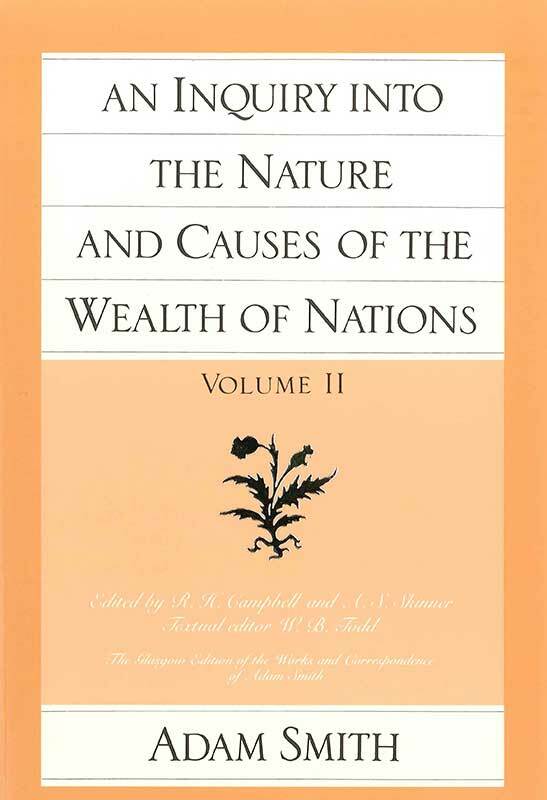 In it Smith analyzes the major elements of political economy, from market pricing and the division of labor to monetary, tax, trade, and other government policies that affect economic behavior. 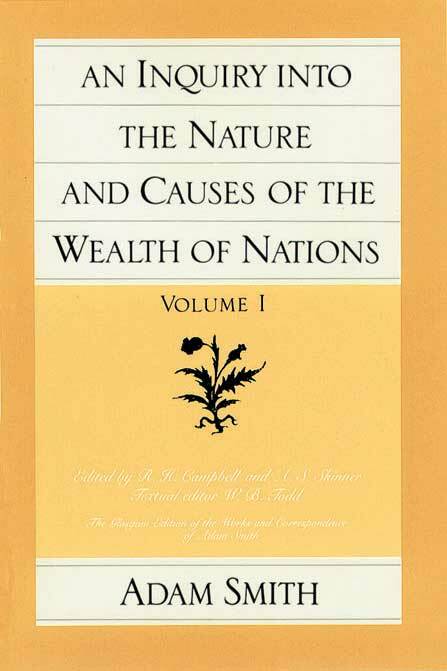 Throughout he offers seminal arguments for free trade, free markets, and limited government. 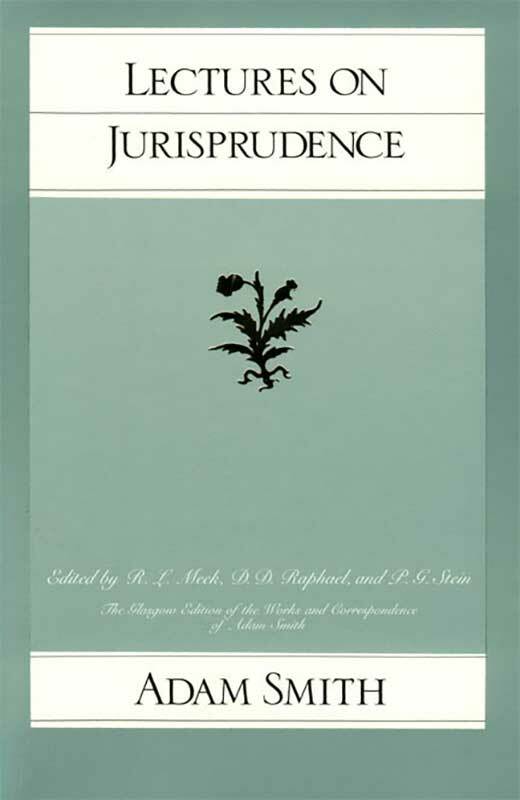 Smith’s Lectures on Jurisprudence, originally delivered at the University of Glasgow in 1762–1763, presents his “theory of the rules by which civil government ought to be directed.” The chief purpose of government, according to Smith, is to preserve justice; and “the object of justice is security from injury.” The state must protect the individual’s right to his person, property, reputation, and social relations. 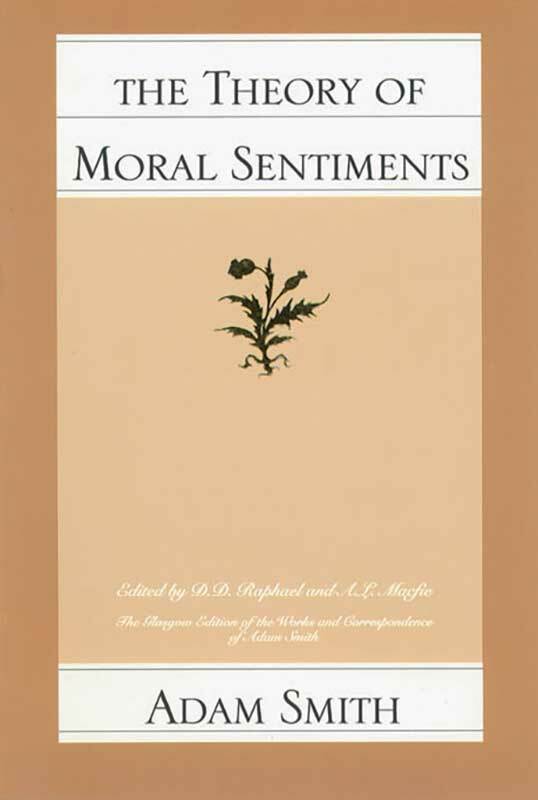 The Theory of Moral Sentiments, Smith’s first and in his own mind most important work, outlines his view of proper conduct and the institutions and sentiments that make men virtuous. Here he develops his doctrine of the impartial spectator, whose hypothetical disinterested judgment we must use to distinguish right from wrong in any given situation. 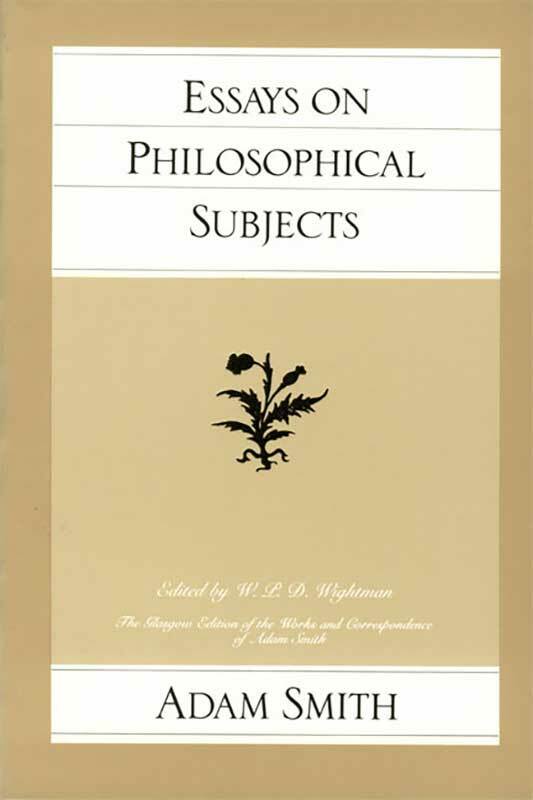 We by nature pursue our self-interest, according to Smith. This makes independence or self-command an instinctive good, and neutral rules as difficult to craft as they are necessary. But society is not held together merely by neutral rules; it is held together by sympathy. Smith argues that we naturally share the emotions and to a certain extent the physical sensations we witness in others. Sharing the sensations of our fellows, we seek to maximize their pleasures and minimize their pains so that we may share in their joys and enjoy their expressions of affection and approval.